Today, the Church and the Franciscans celebrate the memory of Saint Catherine Vigri of Bologna (1413-1463). Catherine was born to an aristocratic family of Bologna; Catherine spent most of her early life in the city of Ferrara as a lady-in-waiting at the court where her father was ambassador. 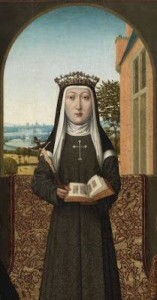 She Catherine received a good education, yet she decided to leave the court to join a community of women in 1426; in the early 1430’s, she and some other members of the group decided to adopt the Rule of St. Clare. By 1456, she returned to her home city to found a Poor Clare monastery. Catherine was known for her deep union with God and practical wisdom. Her incorrupt body may be viewed the a seated position, reflecting her role as a spiritual teacher. Triune God, I give you glory, praise and love for all the graces, which You willed to bestow upon Blessed Angela Salawa, and I beg You, if it is according to Your will, grant that through her intercession You grant me the grace of ….. of which I humbly beg. Look upon the spirit of sacrifice and dedication Your servant, Blessed Angela Salawa, had for others and allow her to be my advocate before Thy throne in Heaven. Through Christ our Lord. Amen. A while ago I when I visited the death camps in Poland I had the opportunity to visit the prison cell of Kolbe. Walking into the cell where the saint lived his last days was intense. It was the first time I could connect the dots of how the confrontation of evil and good can happen, and how one can completely follow Christ in a concrete and meaningful way. 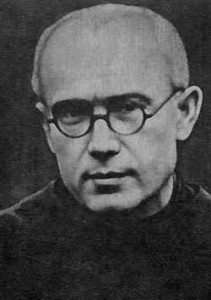 The sacrifice of this Franciscan priest for the good of a married man and father is a striking example of how we can take up our cross today for the good of another person: be Christ-like. 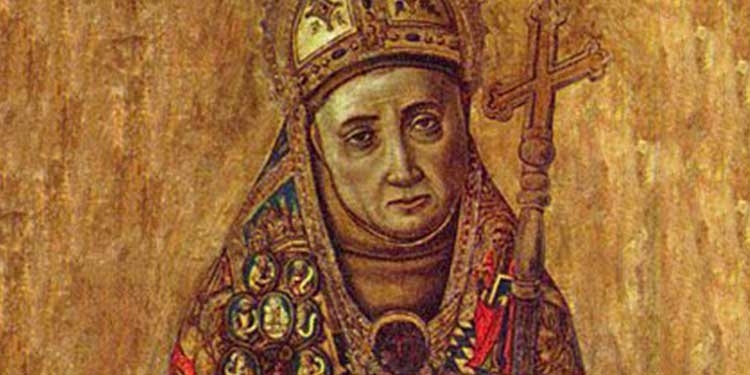 Today’s feast of the great Franciscan friar, theologian, bishop and Doctor of the Church, Bonaventure of Bagnoregio (1221-1274), ought to be key on anyone’s radar screen is styles him or herself as well-read in theology. 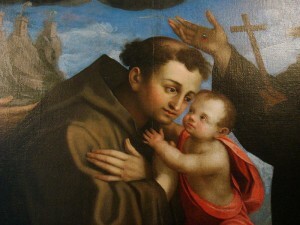 Famously he was cured of illness through the intercession of Saint Francis of Assisi. He was well-educated at the University of Paris where he became a popular preacher and teacher of theology and Scripture. For 17 years he guided the Franciscan fraternity and is known as a “second founder” of the Franciscans. 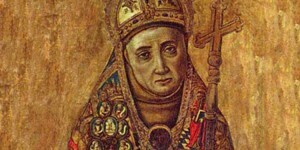 The pope nominated Bonaventure a bishop which he declined only to accept the papal honor of cardinal-bishop of Albano. Dale M. Coulter wrote a very good appreciative of essay on Bonaventure: “On the Feast Day of St Bonaventure” (First Things online, July 15, 2014). I recommend it if you are serious about the study of sacred theology. The text is an excerpt of a sermon by Saint Anthony of Padua — “Actions speak louder than words” — which is quite appropriate for us in the Octave of Pentecost. In 2010 Pope Benedict spoke on Saint Anthony that after re-reading earlier today, I can only recommend it to you again. It is essential reading. We should speak, then, as the Holy Spirit gives us the gift of speech. Our humble and sincere request to the Spirit for ourselves should be that we may bring the day of Pentecost to fulfillment, insofar as he infuses us with his grace, by using our bodily senses in a perfect manner and by keeping the commandments. Likewise we shall request that we may be filled with a keen sense of sorrow and with fiery tongues for confessing the faith, so that our deserved reward may be to stand in the blazing splendor of the saints and to look upon the triune God.